Perhaps, he thought to himself, he's not got a wog after all. Perhaps we just need a holiday he thought out loud, and she agreed. "London looks nice, let's go there", they chorused. Actually London didn't just look nice, it looked sensational, with a crisp blue sky and glorious sunshine. 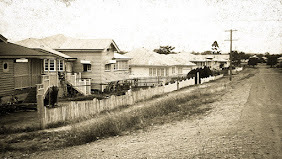 The fact that the temperature was hovering just a little above two degrees and in the breeze it felt what could only be described as somewhat less than two degrees did tend to take the edge off skipping gaily down the High Street. We skipped through the Temple district around all the law chambers bearing name boards in gold leaf that read "Sir and Lady" or simply "Mr" and past the restaurant so wittily christened "The Witness Box". Across the river we wandered in the cold, past the old Clink prison, the Globe theatre, avoiding any reason for apprehension by the long arm of the law, by not carrying a radio or tape machine on our person, as strictly forbidden by the engraved signs along the Embankment. When finally we reached our destination, The Tate Modern, we were astonished by what we had come to see. 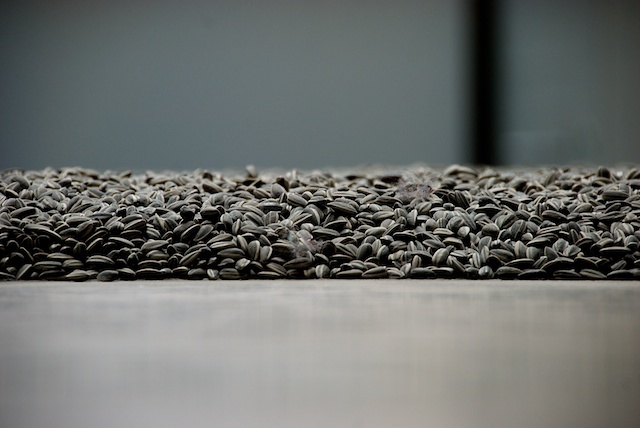 Chinese artist Ai Weiwei's sensational one hundred million hand painted porcelain sunflower seeds covering the floor of the Turbine Hall in a six inch deep carpet left all who viewed in the frame of mind he had intended. As a number, it represents less than a quarter of the internet users in his home country for instance, and five times the entire population of ours. It's an almost unfathomable scale and even while standing at its side, almost impossible to believe. After meandering through two entire floors of the gallery during the course of the afternoon, not to mention the course of sardines and beetroot that was our lunch, the old familiar feelings of despondency, inadequacy and even intimidation which usually descend while visiting environments such as this, entirely failed to arrive. My new mind was working overtime. Weiwei had given me a hundred million thoughts on this the first day, and we have an entire week of holiday ahead. ah, heard about this,thanks for visiting it for us. Yes, indeed. Food for thought! Annie, it's almost worth travelling half way round the world to see!